Over the years, I have been one of the thousands customers of Caseme Case, one of the leading premium case manufacturers in the market and offers great quality leather products not only for Apple devices but also Men and Women accessories. I own a few iPhone and iPad leather sleeves and they all hold up pretty well over time. Thanks to the sponsor from Caseme Case, , we will be reviewing one of their flagship iPhone X cases known as the 008 Wallet Leather Case. And we will take a different approach against previous iPhone case review that we go over every feature listed for this iPhone case. 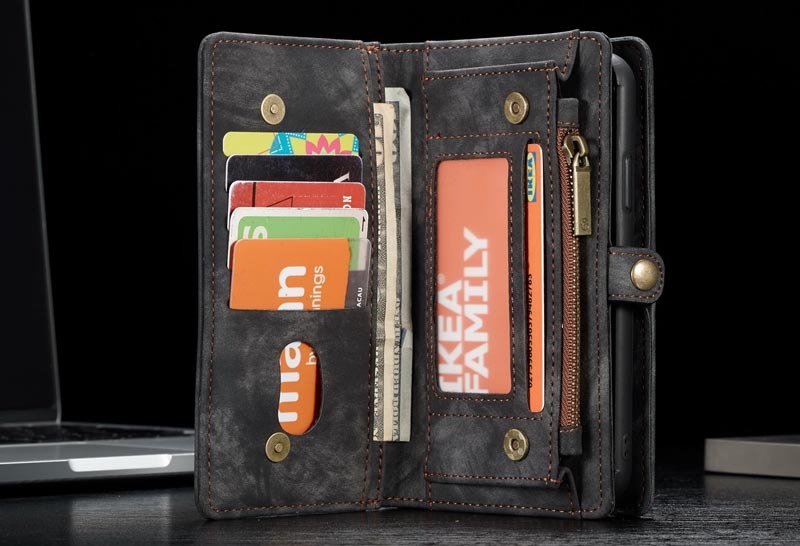 The Caseme iPhone X Wallet Case features a shock-absorbent core underneath the fancy leather case. With the micro-fibre texture at the back side, and a combo with a soft, TPU bumper that has reinforced, rugged structure inside, the overall design here makes it easy to snap onto the phone without much friction, yet the phone is securely locked into the case, and yet very easy to remove the phone from the case without tough effort. Another good feature you should be aware of is the noticeable raised bezel that most of the time help a lot protecting the screen from shattering upon a casual drop. All the buttons, include the side button and volume rockers are well covered by the shock-absorbing protective case. The buttons feel very tactile so you do not have to worry about not being able to press certain button by mistake, or having any difficulty in pressing down the buttons. Last but not least, the key feature that differentiate the Caseme iPhone X case from the other line up is the ability to carry 15 standard size cards. It is a little tough to slide in but once you did, it holds the cards pretty securely. The pockets can fit in three credit cards decently after you stretch the leather after some usage.